It’s that time of the year again and we’re busy getting our t-shirts, jackets, posters.. ready for you and your loved ones. Below are the events that you’ll find us at over the next few weeks. 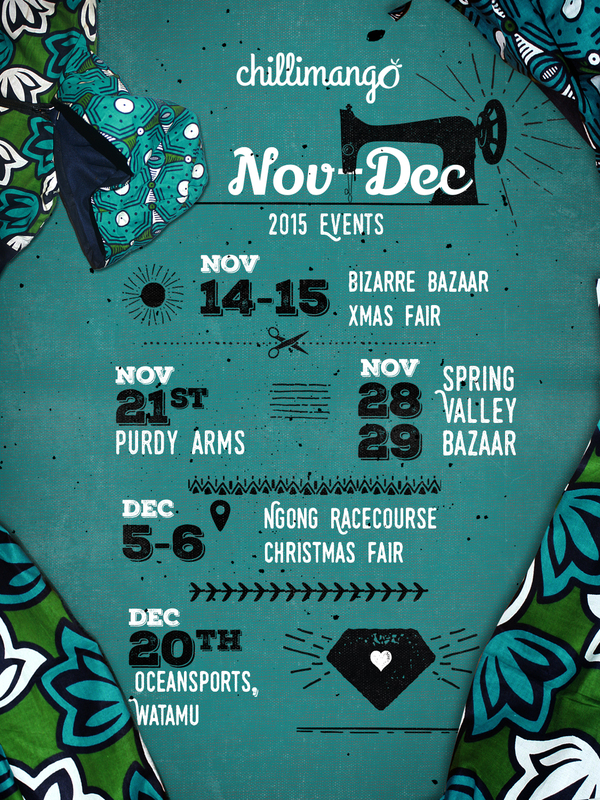 Save the dates and make sure to come check out and support the best in local handmade clothing and crafts from Kenya and the rest of Afrika too. See you at the fairs. Enjoy the holidays. Also, small reminder that we’re moving our shop to a new location (tba) and that our t-shirts will increase in store price from KES 1,200 to 1,500 in January.